When that fresh, new cut just isn’t enough to satisfy. It is said that the devil is in the details and we couldn’t agree more; to compliment your haircut we would recommend a shape-up design, eyebrow sculpting and styling, or a luxurious hair shampooing by one of our barbers. These services are all offered in addition to our standard hair-cutting & styling service, our warm-lather old-fashioned straight-razor shave and our beard & mustache service both of which can also help super-charge your appearance. So many options to choose from, all provided with the greatest skill and care by your hair care professionals at Image First Barber Shop. Stop in today for any of our friendly services and let us show you all the ways we put your image first! 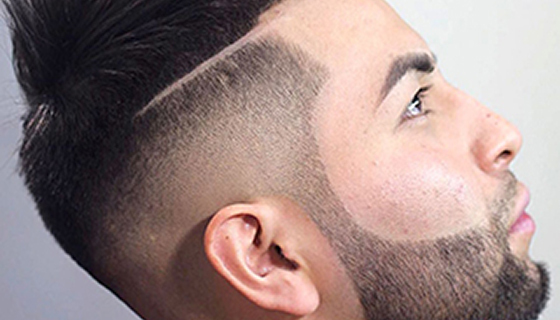 A shape-up is the term given to a form of facial grooming that involves cutting and detailing the hair along your natural hairline. It is typically requested by men to accentuate a new haircut. 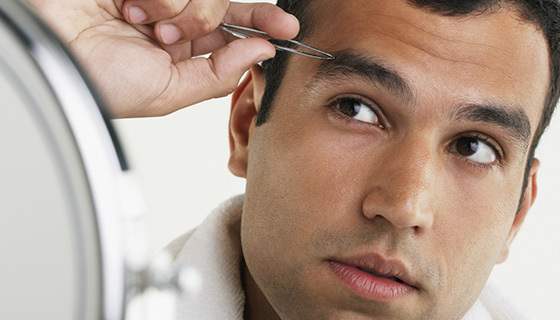 To give you that sleek, tight look we use a T-shaped clippers or a sharp razor blade to line up your hair line. We circle your entire head to include behind the ears, the back of the head, and sideburns. Our styling professional may remove other excess hair which is visible from around the shirt collar growing from the back or lower neck. An Image First shape-up is a great supplemental service to your new look; ask your stylist at your next visit. Eyebrows are often overlooked as part of our appearance because we take them for granted to the point where we don’t even notice them. They’re essential for nonverbal communication which plays a huge role in our daily interaction with others. Now you can look however you want, you can smell however you want, etc., but untamed eyebrows are something that people will remember about you… be it a meaningful first impression or lasting reputation. And, even though we aren’t your boss, we can safely assume that your actual boss might like it if you kept those strays in check. Has your hair been through a lot of product or treatment recently? Sometimes, especially after poor maintenance, our hair just needs a refreshing reboot. At Image First, in addition to our styling and shape-up services, we offer a thorough shampooing for your long or thick hair. This process will help to rid your scalp of all the loose-cut hair while at the same time can be a very luxurious and relaxing experience. Ask your stylist for more information about the premium quality shampoos we use and get your scalp pampered today!